Surveying is not only about the numbers... It's about the experience! Dragonfly Aviation LLC provides a versatile set of services that range from wildlife, to amazing group experiences to helping out in the community. We offer our aerial services locally here in scenic Laredo TX but we also take our services to different parts of the US. We have experience flying in any altitude, weather condition and variable terrain. Receive a detailed and accurate quote to get your project completed. We’re committed to giving our customers the best experience possible. We take pride in our ability to go above and beyond. We pride ourselves in professional net-gun captures ensuring the safety of crew and animals. The entire process of capture, restraint, and handling is performed by an experienced team to guarantee our customers only the highest quality service ensuring safety and satisfaction. 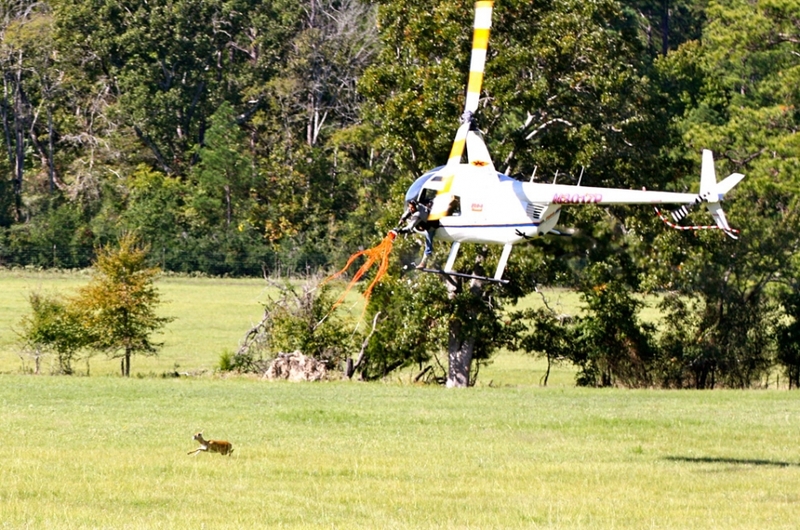 A helicopter survey is most accurate to calculate harvest recommendations for deer and exotics. 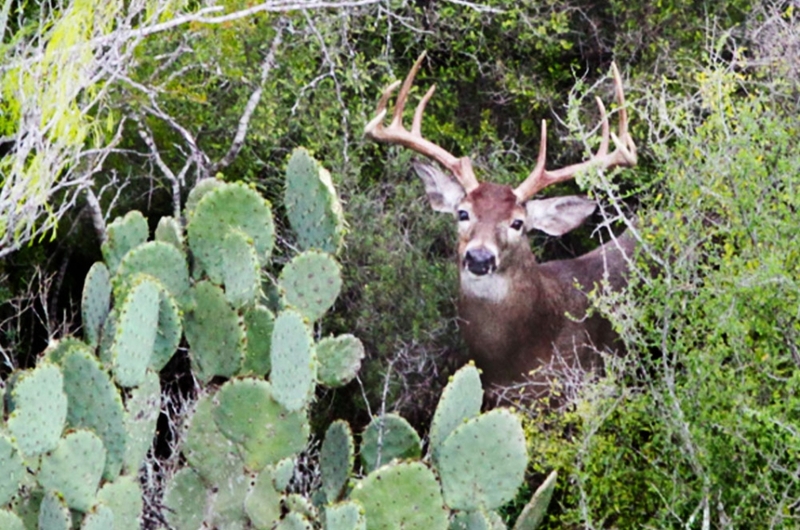 Helicopter deer surveys are effectively utilized to obtain buck to doe ratio, fawn production, antler development of bucks, distribution of animals on ranch, and the vegetation condition of the ranch. A helicopter offers the ability to move cattle quickly, saving time and money. 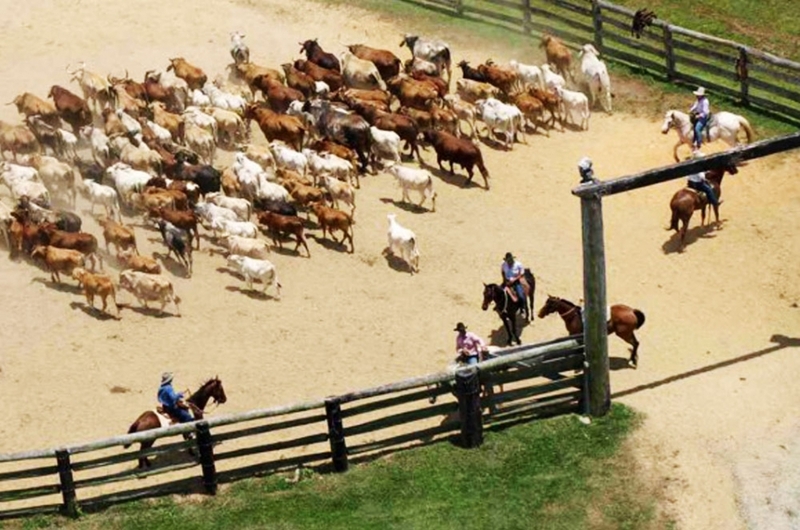 Aerial cattle-work provides the advantage of seeing and maneuvering scattered cattle back to the herd and to your final destination. With this advantage a rancher can also locate and track wounded or sick cattle. With over a decade of flight experience, chief pilot and owner Kevin Reed has accrued over 7,000 hours of flight time. Dragonfly Aviation pilots quickly gain experience in many different type of flying. Low level flying, high density altitude and the amazing rotor handling techniques needed to handle and coral cattle are just a few examples of why your in good hands with any Dragonfly pilot. In 2004, Kevin attended flight school at Vortex Helicopters, now known as Bristow Academy. After flight school, I was hired by Armstrong Helicopters in Laredo, TX in 2005 as a pilot. Kevin has experience flying in varying conditions and location ranging from the gulf shores to parts of Alaska. Our pilots have experience in multiple areas of rotorcraft aviation such as flight in high density altitudes, mountainous terrain, low level flying, and extreme weather conditions. It is our dedication and passion for preserving wildlife and helping to manage domestic animals. Although our focus is Wildlife Surveys, Wildlife Captures, Cattle Work, and Predator Control, we have an unwavering desire to provide as many services to our clients as possible. We are an expert resource in aerial ranch management not only for our clients, but also for our community.